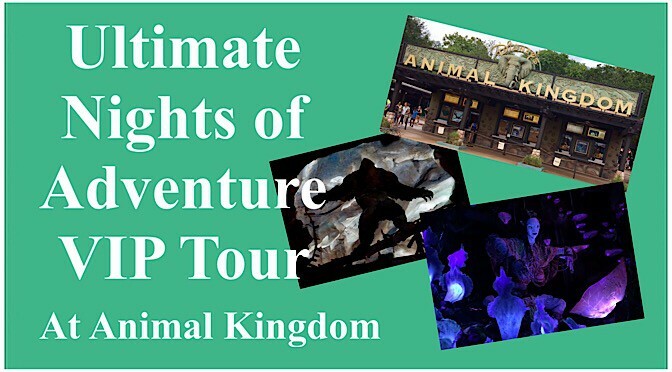 For those who would like to ride all the popular rides and learn more about Disney’s Animal Kingdom, you will be excited to learn that Disney announced a new tour today – the Ultimate Nights of Adventure VIP Tour. This tour takes place as the park transitions from day to night. This is a tour that falls under Disney’s “VIP” category with a tour guide who takes you around the park pointing out different things you might not know. 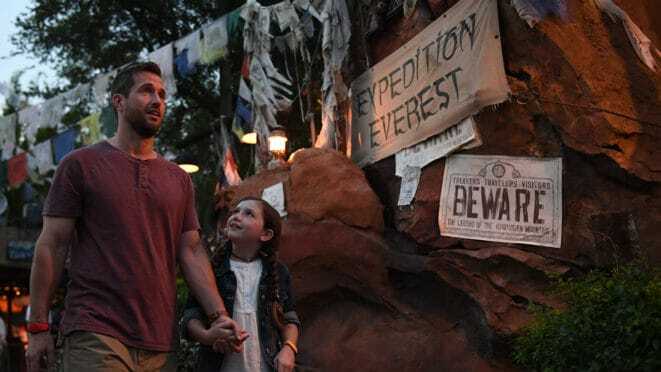 The Ultimate Nights of Adventure VIP tour includes expedited Fastpass+ access to the following rides: Expedition Everest, Kilimanjaro Safaris, Dinosaur, along with both Na’vi River Journey and Avatar Flight of Passage. There is also a snack included. Disney states that this tour will last for approximately four hours from beginning to end. Booking for this opens October 1st, and it will take place every Sunday, Thursday and Saturday evening that has the Rivers of Light show scheduled. Cost for this tour is $249/person. If you have an annual pass, are a Disney Vacation Club member or a Disney Visa cardholder, you receive a 15% discount off that price. Disney has not stated any age requirements for this tour in the first details. If that changes, we will certainly let you know. As always, there is some fine print on this tour. Keep in mind the following: Separate park admission IS required to access this tour (you will need a ticket to Animal Kingdom to enter the park). While the Ultimate Nights of Adventure VIP Tour schedule contains the attractions listed above, Disney does not guarantee any attraction during the tour.. This tour is a great way to knock out all the popular rides at Animal Kingdom. However, if animals are more your thing, consider the Wild Africa Trek. It is a three hour tour that includes behind the scenes, VIP access the the safari areas along with a lovely meal on the Savanna. For more information about the Enchanting Extras Collection or to make reservations, call 407-WDW-PLAY (939-7529). Guests under 18 years of age must have parent or guardian permission to call. For those guests who have a tighter budget or just like to blaze a trail without a group, don’t forget to explore the Touring Plans at characterlocator.com. There are Touring Plans found there for all four Walt Disney World Parks and even the two Disneyland Parks. For more information, click here. Disney Parks Tours allow guests an opportunity to experience a little extra behind-the-scenes Magic. What Tours have you wanted to try? Which ones have you actually taken? Has anyone tried this and if so do you think it’s worth it? Do you get special seating for ROL too? It doesn’t mention it but does say it is only available when there is a ROL show.